While forecasts are calling for cloudy skies, the stars will be out in the nation’s capital on Tuesday, July 17. 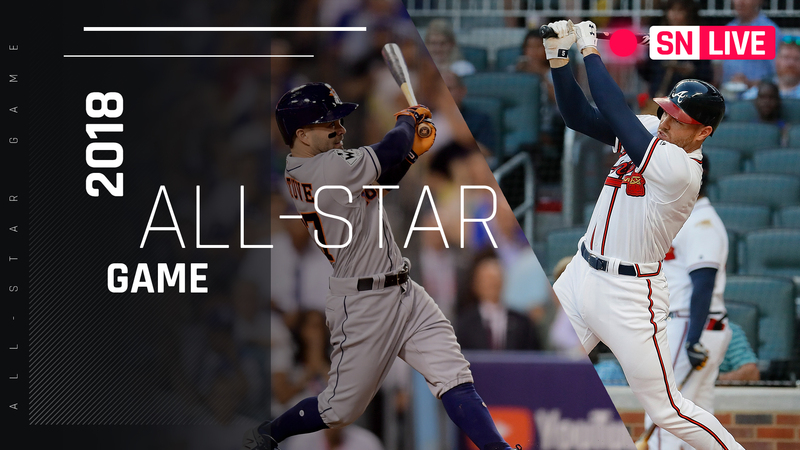 A night after Bryce Harper’s thrilling Home Run Derby win, it’s American League vs. National League in the 89th MLB All-Star Game, featuring some of baseball’s best: Mike Trout, Freddie Freeman, Aaron Judge and more. Chris Sale takes the hill for the American League, opposing Max Scherzer of the Nationals, who is making the start in his home ballpark. American League dominance has been on full display over the last 15 seasons; the junior circuit has gone 12-3 in that span. The all-time record is 43-43-2, so someone should have a leg up after Tuesday’s game. Live from Nationals Park in Washington, D.C., it’s the 2018 MLB All-Star Game. Have fun stargazing. This section will be updated closer to first pitch. Who is Erica Herman? Tiger Woods’ girlfriend – how long have Ryder Cup 2018 USA golfer and American restaurant manager been dating?